Pre heat oven to 200 degrees celsius. Wash the kumara and pat dry. Brush all over with olive oil, place on a baking tray, sprinkle with Himalayan salt and freshly ground black pepper. Bake in the oven till soft – approximately 40 mins. 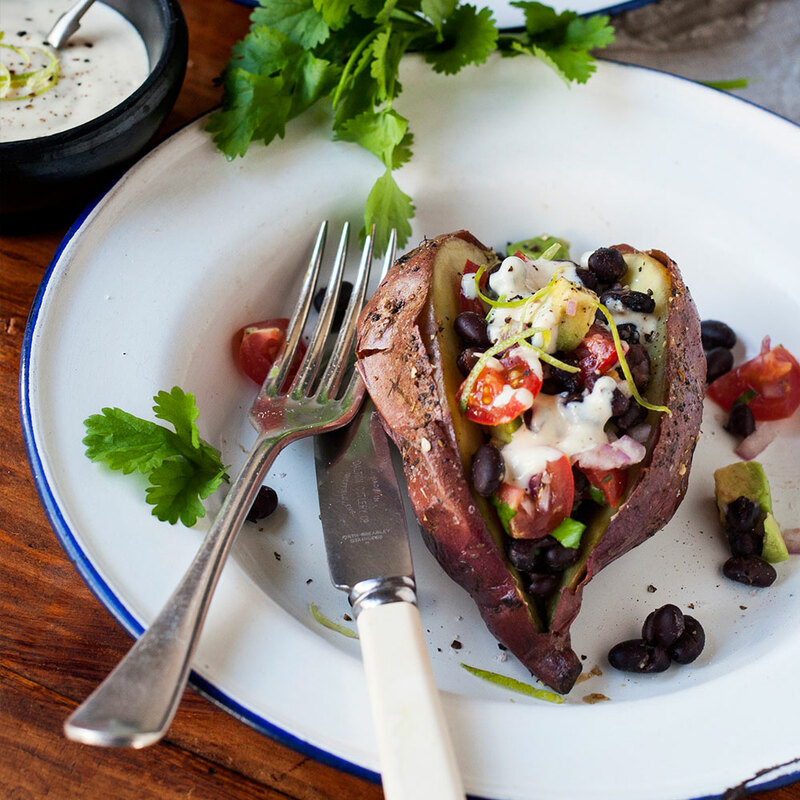 While the kumara is baking make your salsa. Drain and rinse the can of black beans and place in a bowl. Add all the remaining ingredients except for the lime zest. Mix gently then season with salt and pepper. 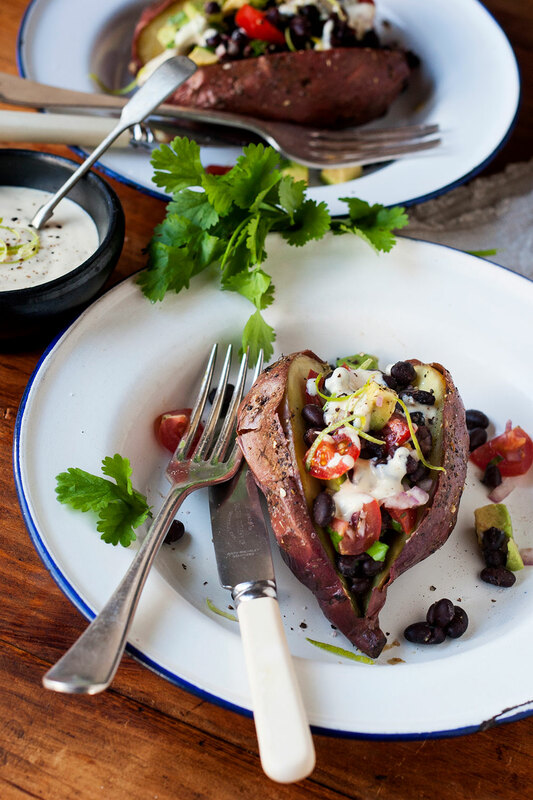 When your kumara is cooked, remove from the oven and allow to cool for a few minutes. Slice through the centre lengthwise but don’t cut right through the bottom. 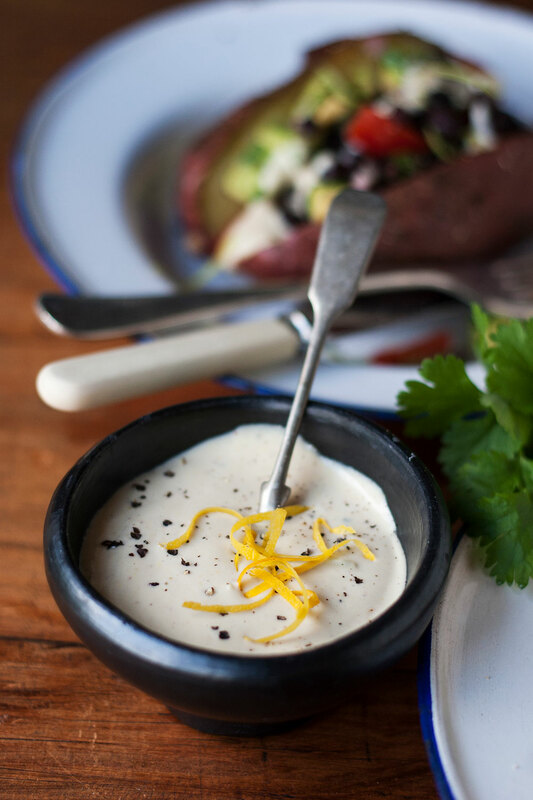 Fill each kumara with spoonfuls of salsa, dress with tahini dressing, garnish with lemon zest and serve. Serves four. Blend all the above ingredients with a stick blender. Store in a jar in the fridge for several days. of the plant version of vitamin A. This is over seven times your daily recommended requirement. They are also rich in vitamin c, many of the b vitamins and lots of minerals. What an amazing skin food they are! And don’t forget all the fibre you will get from this dish with the addition of the black beans.